The 10th Anniversary of the hit game Pandemic will be marked with the release of a special, limited edition version of the game. 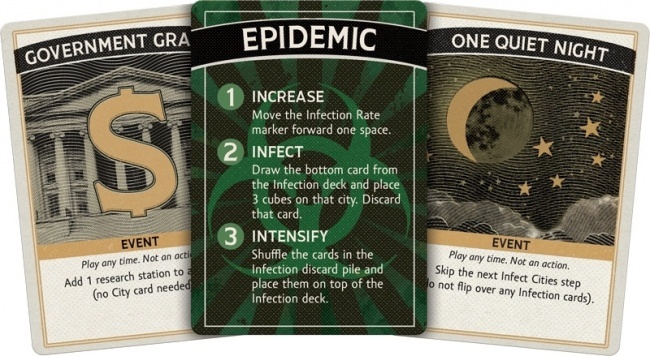 The Pandemic: 10th Anniversary Edition Board Game will release in Q4. This version of Pandemic returns the game to its original form, with players working together to halt the spread of life-threatening diseases in a race against time. Z-Man is giving the 10th Anniversary Edition a retro look, packaging the game in a metal box designed to look like an early 20th Century first aid kit, complete with gaskets that can be used to mount it on the wall. The game will feature all-new artwork, printed in a period-style color palette and using printing techniques designed to give the components the appearance of having been produced in an antique print shop. The character cards have been upgraded to look like ID badges, and for the first time since the game’s first edition it will feature wooden playing pieces. The character pawns are also getting a facelift, being replaced by sculpted plastic miniatures treated with an ink wash to bring out the detailing. Altogether, the game will weigh in at an impressive six pounds. Click on the Gallery below for images of some of the game components. 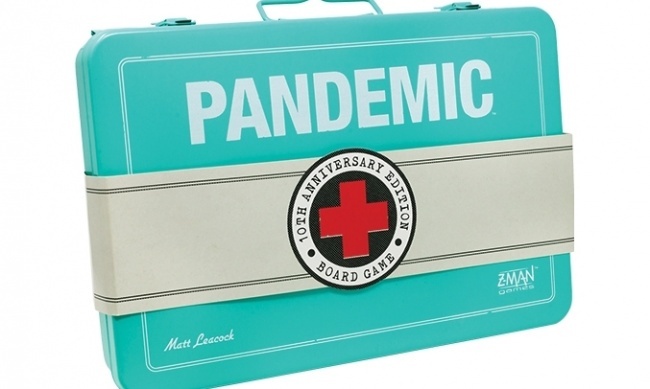 The Pandemic 10th Anniversary Edition Board Game is intended for 2 to 4 players, ages 8 and up, and takes about 45 minutes to play. MSRP is $99.99. Z-Man will print only a limited number of copies of this edition of the game, which will be made available to the trade. 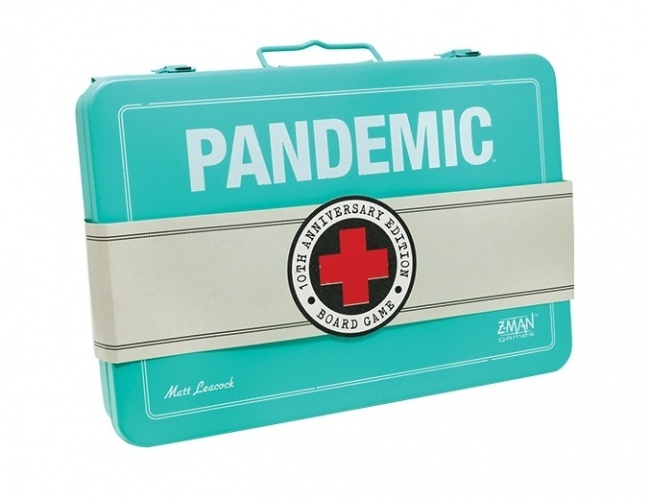 Z-Man offered a historically themed limited edition of the game last year (see "‘Pandemic’ Goes Historic").